The Doll Sweet Journal. : All Hail the Dragon Knight! 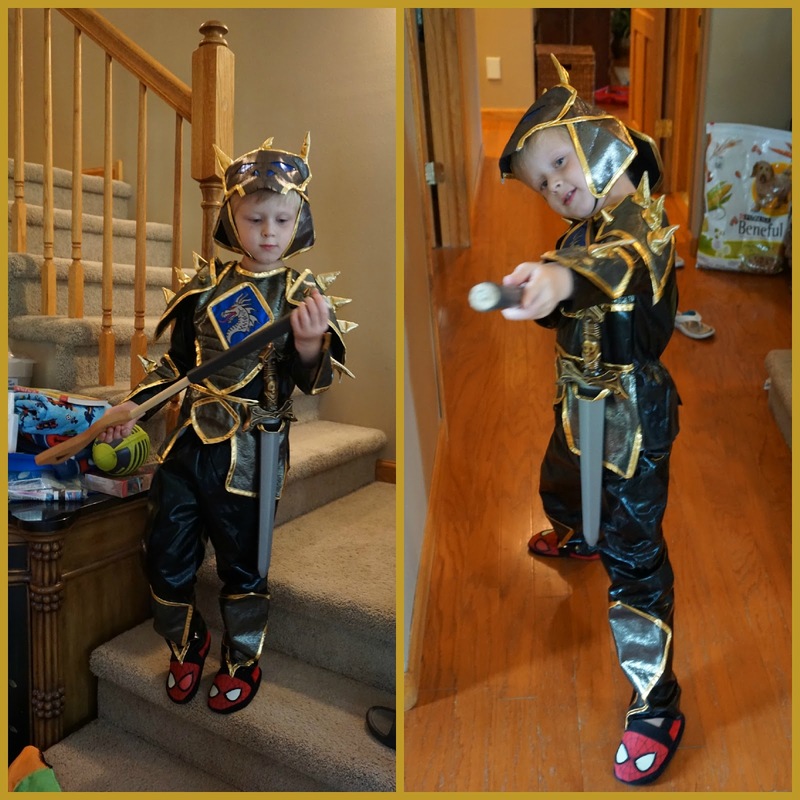 Back in August when we were shopping at Costco and the Halloween costumes were newly out on display, Sam decided he wanted to be a "Dragon Knight" for Halloween, so that's what we got. I like getting things like that done early when the selection is good. I'm not a crafty mom with good sewing skills (or any sewing skills) who designs and makes costumes with my kids, so we might as well buy early and get it done. I'm not sure exactly what a dragon knight is. Is it a knight who fights dragons, or a knight who fights enemies with dragons as his allies? Don't mess with this knight. He wore the costume for days when playing around the house and out in the yard. It cracked me up. He got dressed up in it for his friend Thomas who was coming over to play. Here he is waiting out on the front porch for Thomas to arrive. So funny!